Andy Warhol, Self Portrait, 1979 © The Andy Warhol Foundation for the Visual Arts, Inc.
PITTSBURGH, PA.– The Andy Warhol Museum announces an exhibition on view at Polaroid Fotobar’s new Polaroid Museum at The LINQ in Las Vegas, NV. The exhibition Capturing Celebrity features a collection of 50 reproductions of Warhol’s Polaroid photographs from The Warhol’s collection, including a number of self-portraits, as well as images of celebrities Dennis Hopper, Truman Capote, John Lennon, Yoko Ono, Mick Jagger, Dolly Parton, Farrah Fawcett, Debbie Harry, Giorgio Armani, Arnold Schwarzenegger, Keith Richards, Muhammad Ali and more. Two of Warhol’s personal Polaroid cameras also are on display. “The Andy Warhol Museum is very excited to collaborate with Polaroid on the Capturing Celebrity exhibition at the soon-to-open Polaroid Museum. 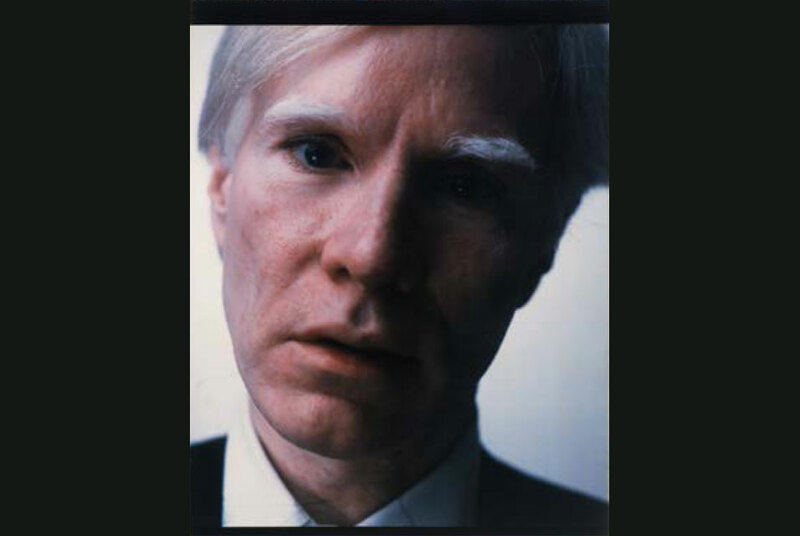 Andy Warhol was rarely without his Polaroid camera. He was an innovator who used his Polaroid cameras as the basis for creating many of his artworks and for recording moments of his life from the 1960s through the 1980s. Using these iconic cameras, Warhol photographed Liza Minnelli, Halston, and others at Studio 54, documented his recovery from his 1968 shooting, and created sought-after celebrity portrait paintings and record covers for the Rolling Stones,” states The Warhol Museum’s Director, Eric Shiner. “We are honored to partner with The Andy Warhol Museum and feature the Capturing Celebrity exhibition. A Polaroid Museum without Andy Warhol just wouldn’t be right,” said Warren Struhl, Founder and CEO of Polaroid Fotobar. View our entire Andy Warhol collection here.